Now on a 65-55 run with my last 121 All Sports picks! $1,000/game players have cashed in $16,470 on my All Sports picks since 12/09/18 and $15,820 on my All Sports picks since 12/10/18! #6 ranked Basketball handicapper this season! $1,000/game players have cashed in $25,760 on my Basketball picks since 01/03/18! $1,000/game players have cashed in $27,670 on my NBA picks since 12/03/18! 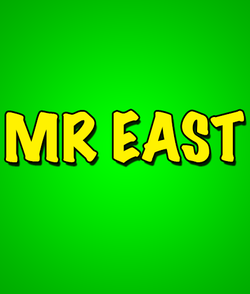 There are a lot of reasons to like Mr. East. He’s one of the good guys in the business who puts in max effort every day. Nobody has a better collection of what works and what doesn’t. He knows what situations teams perform in. He also knows the situations where teams are poised for letdowns. One of the reasons he’s such a good MLB handicapper is he was a pro himself for a while. This enables him to get inside the head of the professional athlete. He knows what they are thinking on road trips, during losing streaks, and when things appear to be on a roll. East is one of the best early season CBB handicappers in the game. He works hard in the offseason learning about the teams and the players. It shows as he has hit 57.5% of his premium NCAA basketball picks during the months of November and December. If you want to get your basketball season started off on the right foot then East is your guy. He’s also the world’s foremost expert with NBA totals. Over his six year career on our site he has hit almost 60% of his over/unders. That is a percentage that is difficult to match. I don’t know any NBA handicapper that can keep up with that kind of winning pace. East treats your money like he would his own. He doesn’t put out picks unless he’s double- and triple-checked them. If they have a high chance of being winners, only then will he put them up. He’s humble for a guy with his record, but there’s a reason for that. He doesn’t need to boast – his record speaks for itself.